LANGLEY — Katie Devaney was convinced that she knew how to dream big. 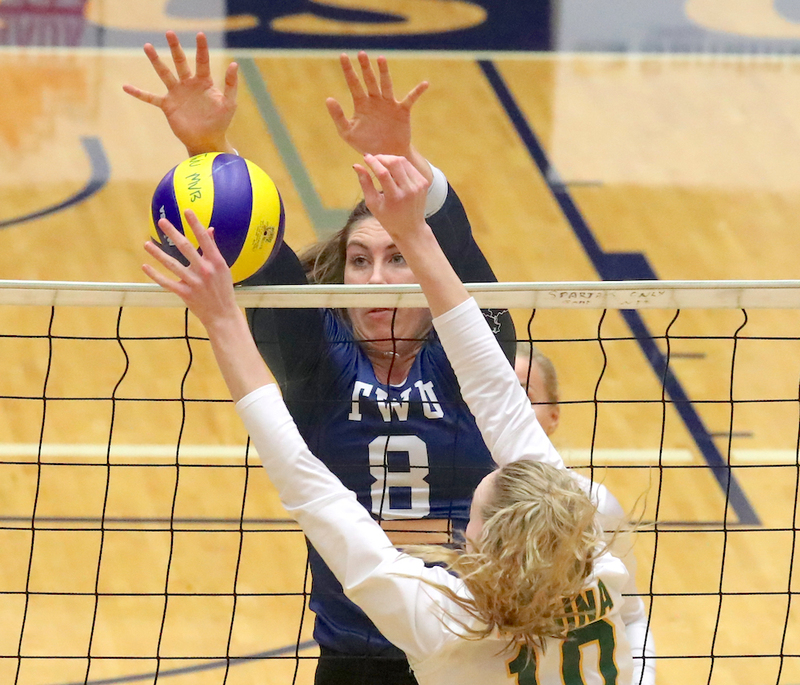 So five years ago, the senior volleyball star at Port Coquitlam’s Terry Fox Secondary School set in her mind, an ambitious goal to be a starter by the midway mark of her impending university career with Langley’s powerhouse Trinity Western Spartans. 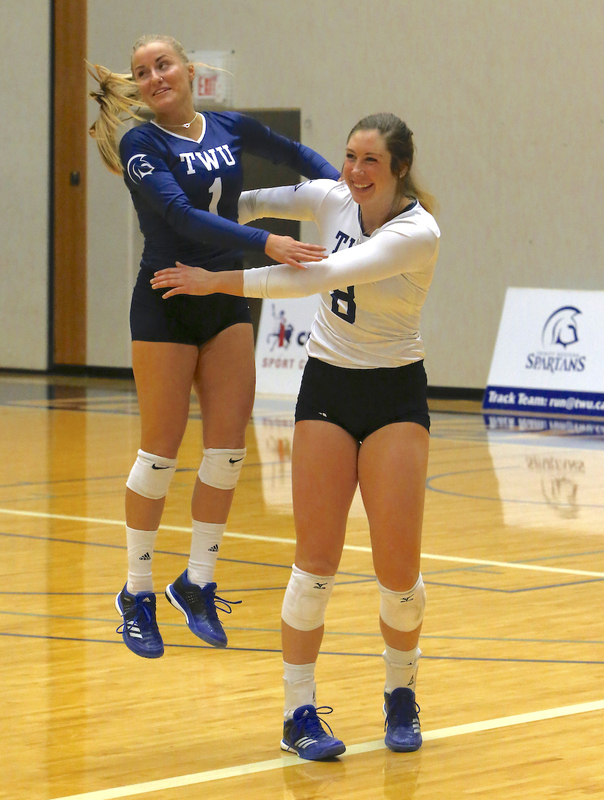 On Friday evening, however, when TWU’s star middle blocker hears her name called in a post-match ceremony to honour its graduating seniors at the Langley Events Centre, it will be clear that Devaney had no concept of just how big her reality would eventually become. “When you’re in high school, you scope out the roster, you see how many middle blockers they have and how many years they all have left to play,” the 6-foot-1 Devaney recounted on Wednesday as her Spartans (13-7) prepared to meet the arch-rival UBC Thunderbirds (16-4) on Friday (6 p.m.) in the first of a home-and-home series which concludes Saturday (5 p.m.) on the road in Vancouver at War Memorial Gymnasium. No. 4 nationally-ranked UBC has already qualified for the playoffs, while Trinity Western can clinch its ticket to the post-season with at least one win this weekend. Devaney, a self-professed late-bloomer in her sport, became a starter in her first season with the Spartans and enters action Friday just nine blocks shy of becoming the all-time career Canada West record holder, her 504 blocks sitting just behind her former TWU teammate Alicia Perrin (512) with four matches remaining. As well, Devaney comes in with 117 blocks this season, 18 behind Perrin’s all-time conference-record of 135. Friday’s clash between the two schools will be their first meeting since the 2017 U Sports national semifinal where the ‘Birds, en route to the national title, swept past the Spartans 3-0. In addition to the women’s series, the highly anticipated men’s clash between No. 1 TWU (19-1) and No. 2 UBC (18-2) begins Friday at the LEC (8 p.m.) and concludes Saturday (6:30 p.m.) at UBC. Back in the 2012-13 season, Katie Devaney was a two-sport star at Terry Fox and could have picked between volleyball and basketball (where she averaged 25 ppg for the Ravens), as her collegiate sport of choice. Yet she chose volleyball, and in the fall of 2013 as a raw rookie, found herself penciled into the Spartans’ starting lineup where she prepped alongside none other than the 6-foot-2 Perrin, the Creston native and current Canadian national team member who is playing professionally with Universidad de San Martin de Porres in Peru. That second year, the 2014-15 campaign, proved especially memorable as Devaney joined a senior-laden group which included Perrin, and helped lead them to the CIS national championship title. That was followed the next two seasons by second- and third-place finishes at the national championships, teams with which Devaney has been able to supply increasing depths of leadership in the lead-up to this, her senior season. 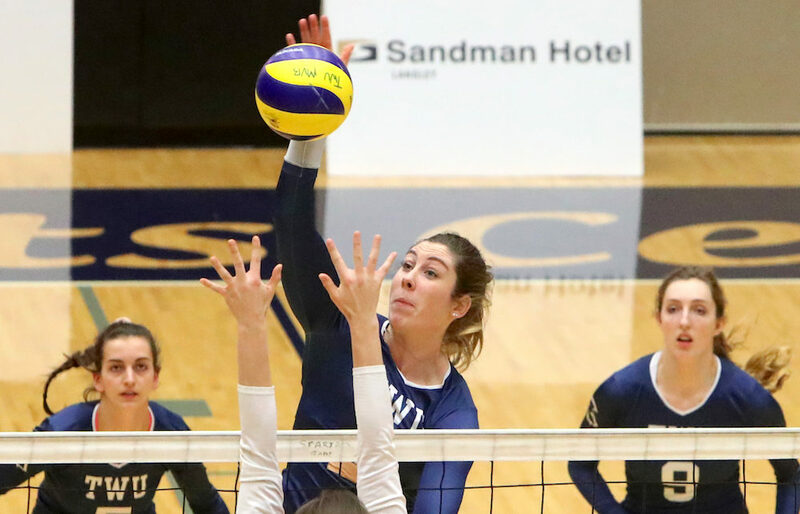 “Physically, she has set a standard in our gym for work ethic and what you can accomplish in the time that you are here,” says Trinity Western head coach Ryan Hofer of the biology major. Hofer has seen how Devaney has grown to become a unique chunk of the program’s overall DNA, and when you ask him to describe what that means, he talks of this season’s team being its most inclusive ever. There is a touching moment at the start of every Spartans’ match in which Devaney, as part of the team’s starting six, will come out onto the floor, then quickly substitute herself with Rachel Flink, the team’s senior libero. What began organically from the strategies and rules of the game, has evolved into something symbolic, a way for the team’s lone graduating seniors to celebrate the game with both each other and their teammates. “It’s kind of like us holding each other accountable in way,” says Devaney of the pair, both of who will be honoured following their final regular-season Canada West matches on Friday. And in a larger sense, Devaney has helped create a team environment this season in which every player holds the other accountable. It’s a big-picture view that has Devaney, a player on the verge of becoming the most prolific blocker in Canada West history, making sure the t-shirts get to the washer and get pressed, that the nets get put away and that all the balls are counted. “Sport is a great thing,” says Devaney, who credits a number of her teammates for helping implement the new school of thought. “But in too many instances, sport has a way of placing its value above your own value as a person. Of course that hasn’t stopped Devaney from celebrating her senior status, kidding around with ultra-talented freshman middle Avery Heppell from Langley Fundamental and pinching herself when she’s reminded just how much her career achievements have out-stripped what now look like very modest initial goals. “I have always looked up to Alicia and to even be comparable to her numbers is so humbling and exciting,” Devaney begins of Perrin. “It’s funny because in my first year, I broke the record for blocks in a game which was previously held by Alicia. One that has opened Katie Devaney’s eyes to possibilities she couldn’t even have imagined five years ago.